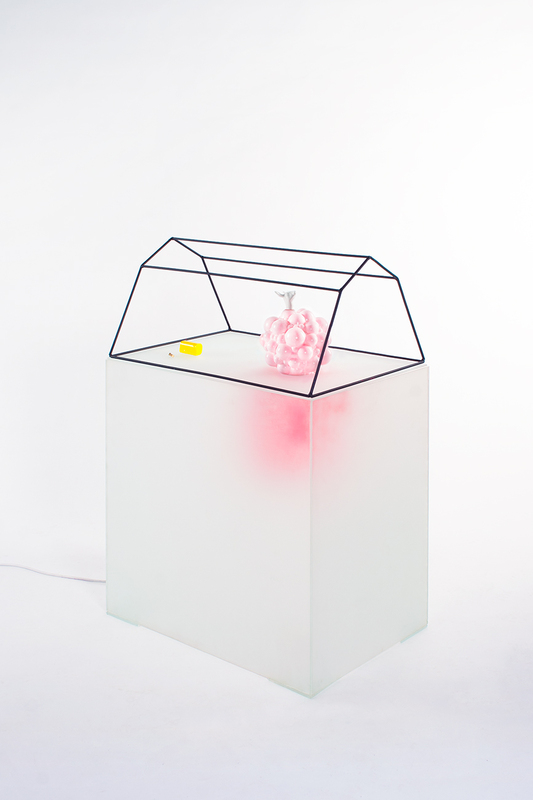 The lighting object „New Way” is a surrealistic composition of materials and shows a basic construction of a greenhouse. This composition is inspired by a dream. 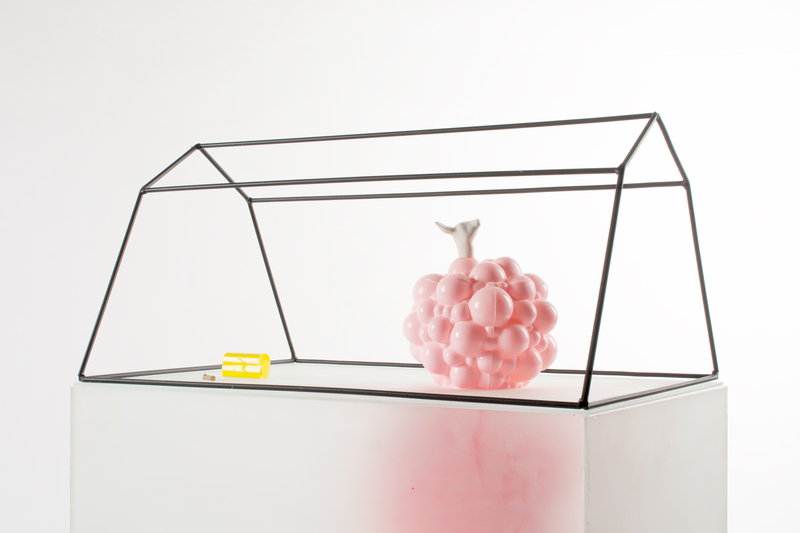 The object is dealing with space under the greenhouse, which is a hidden part of its growth. This piece of ground is built in form of a semi-transparent plinth out of glass. There is a pink kind of plant growing, which is carrying the head of a porcelain deer. The roots of the plant are vaguely visible through the plinth, because of its milky glass. They appear like in a dream. Next to it lays a yellow, not further identified brick.